MACHIAS, Maine (NEWS CENTER) — We are happy to say that Robert Coles safely returned home Sunday. 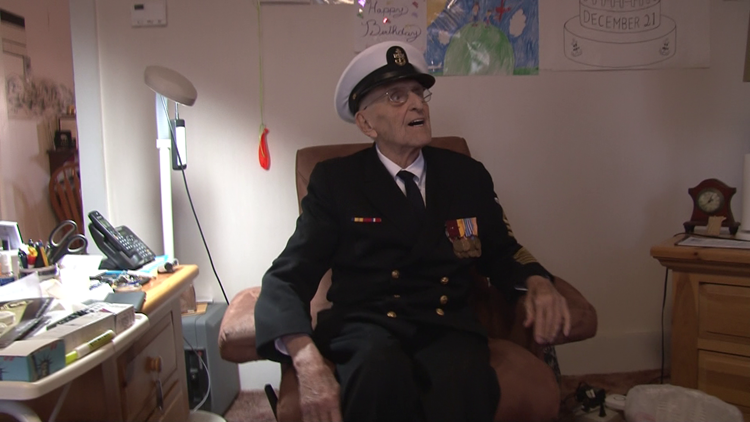 NEWS CENTER first introduced you to the World War II veteran from Machias when he was trying to find a way to get to Pearl Harbor for the 75th anniversary of the attacks. We followed Coles and his travel companion Dennis Boyd, another Navy veteran, to Hawaii for the week-long journey. After traveling thousands of miles, the pair landed in Trenton Sunday afternoon. 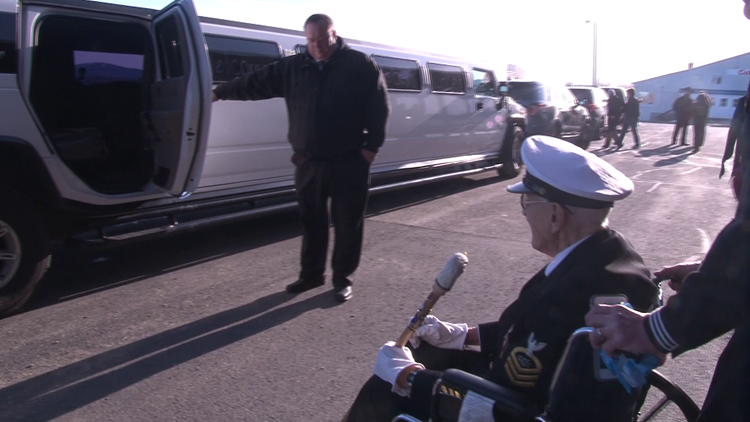 He and Boyd even got a ride home to Machias in a limousine thanks to the generosity of the company owners. "The adoration and respect that was shown to us was unbelievable," Coles said on the drive home. "I'm still walking 3 feet off the ground because it was beautiful." A number of state police, county sheriff’s deputies and local fire departments escorted them through the scenic Downeast roads. "I met a lot of friends there that I never knew, but they were all friends because they were all Pearl Harbor survivors,” Coles said. As for whether or not he plans to go back, Coles was unsure. "Let me rest up a week or two and see if I want to do again, but I don't think so,” he said. Boyd said he would love to go back, as the two playfully bickered over what it meant to be a hero. "Bob always says, 'Well, I'm not a hero,'” Boyd said. Coles humbly denies that he was a hero on that fateful day 75 years ago. "I can remember Pearl Harbor and World War II and I'll remember this trip, God loving, as long as I'm breathing, actually,” Coles said. Both Boyd and Coles spoke of how appreciative they were to those who made the trip possible, including the donations from countless Mainers. "God bless them all," Coles said. "You have been my lifesavers now." Friends and neighbors greeted him in his front yard. "I've got the love and respect of my fellow Machians, Maine-iacs and that's all I need,” he said as he got out of the limo. Finally, back in his own living room, where old photos of memories in the service covered the walls, Coles plopped down in his favorite chair. "Like the old saying goes, there ain't no place like home — right?” he said. This latest journey becoming a highlight he will not soon forget.